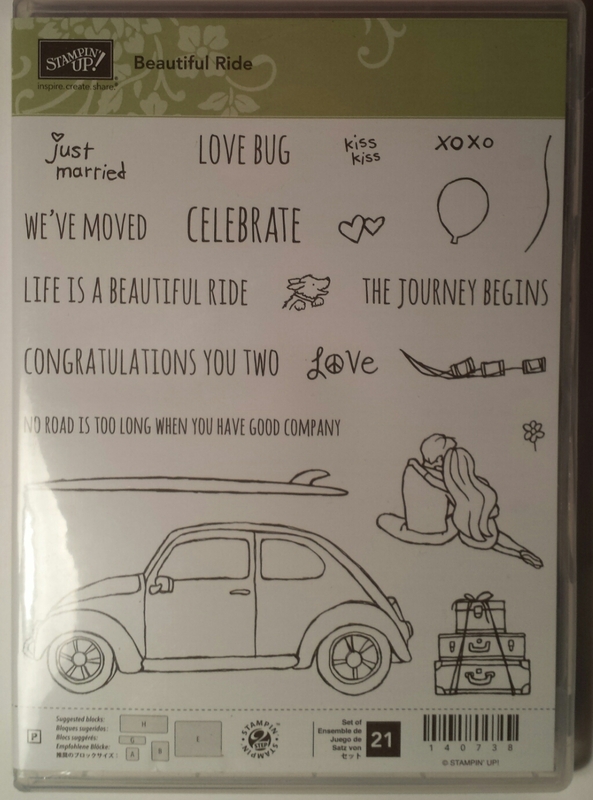 Beautiful Ride is a very versatile stamp set. Everything from moving to a new place, to getting married, to just being in love. This stamp set has it all. I couldn't resist the funky paint job on the car. 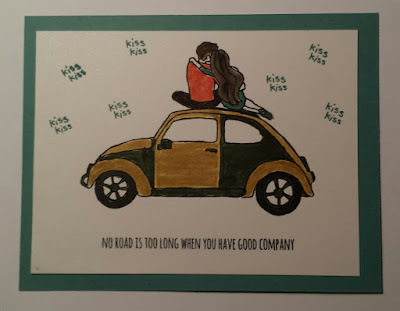 I used the retiring Stampin' Markers to color in the car. Don't forget the retiring In Colors when you are planning your order. The In Color merchandise usually sells out really fast. If you haven't picked up yours, you might want to do so as soon as possible. Good Bye Floral Frames. I'm gonna miss you. The Retirement List has been posted!